With the Pitchero mobile app, you can keep track of all the latest goings on in and around your club wherever you are. Download it for FREE today on iOS and Android to get the best of your club website in your pocket. You don't have to be sat at home or in the office to read the latest match reports or catch up on the latest news. 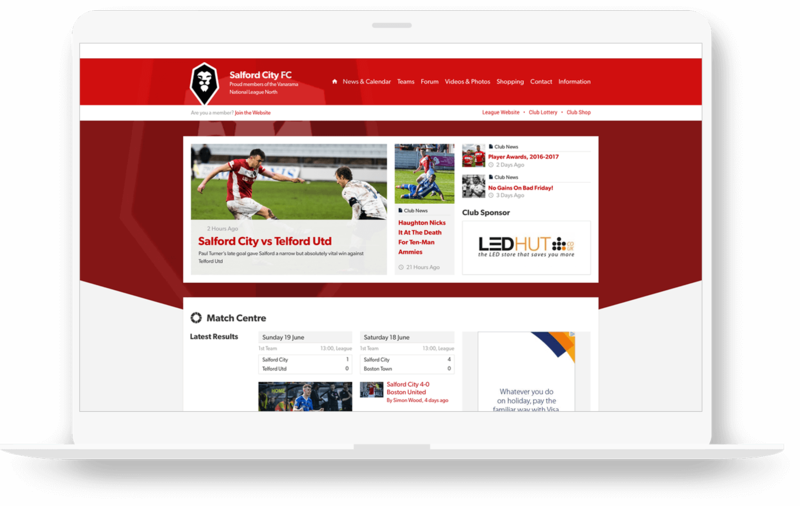 Log into the Pitchero app and all your club's content appears in one intuitive, responsive mobile app. Read about your match-winning play from the weekend, watch it back by viewing your club's videos and photos, and remind yourself of any upcoming club events. Staying in touch with your club has never been so easy. The Availability and Selection features that make team selection so much easier for coaches and players are also fully integrated with the Pitchero app. 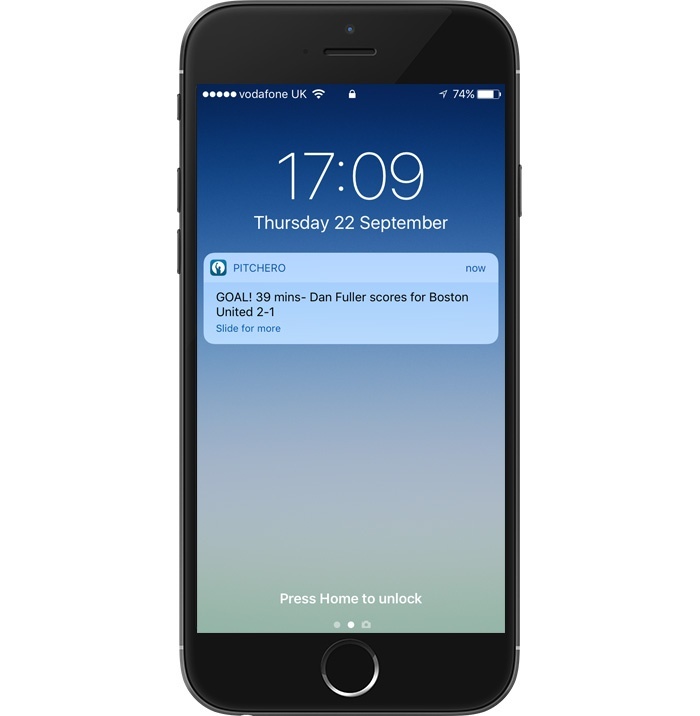 Thanks to built-in push notifications, you'll be alerted to any upcoming fixtures. 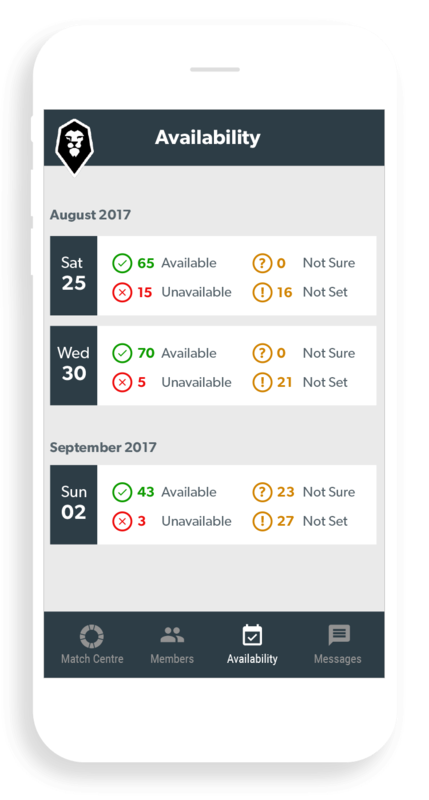 Confirm you can play in the Availability panel and let your coach know you're ready to turn out for your club this weekend. Plus, when your coach has picked his dream team, you'll be be first to know via push notification. No more ringing round finding out whose made the team for this weekend's game. The Availability and Selection panels let you tell the coach when you can play, and posts team selections so you know whether you've made the team. Getting to grounds can be a nightmare. Carting yourself across the country to find a remote countryside village is tough when you don't know where you're going. Thankfully, in the Pitchero app you'll find all your club's fixture details. That means not only who, but where. Thanks to built-in Google Maps, the location of upcoming fixtures is available from the app's Match Centre. Boot it into your smartphone's navigation system before you set off, and never get lost on the way to a game again. Elsewhere in the app Match Centre, you'll find all your team's results and match reports from those games, plus the latest league tables. Can't make it to the match this weekend? With the Pitchero app and Pitchero Play, you can watch match day highlights of your club just minutes after it happened on the field. 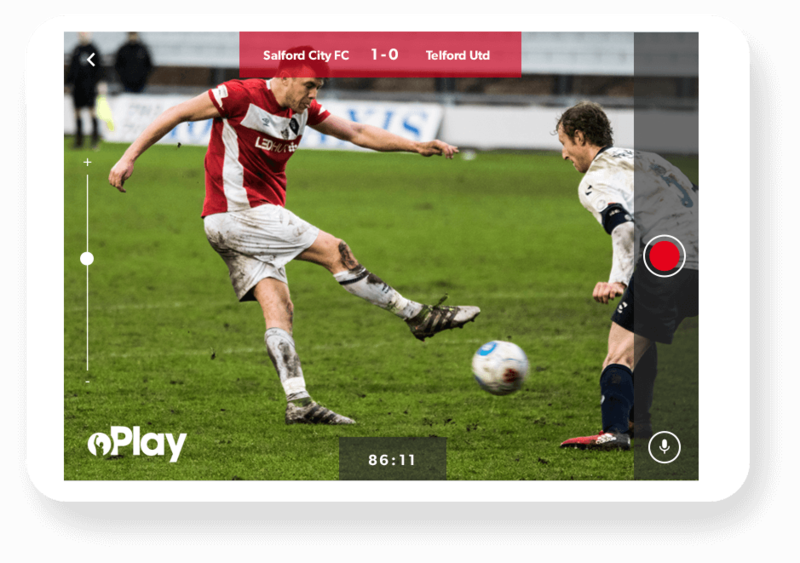 If you're club are filming instant highlights using Pitchero Play, you'll get match day notifications of goals and other major events as they happen. Plus, you can watch all the action from within the Pitchero app. As if all the above wasn't enough, the feature-filled Pitchero app also lets you communicate with club members on the go. Discuss last Saturday's famous victory, arrange lifts for upcoming games, or pass on tactical ideas to the team coach. You'll also be notified of any and all replies via email. It's all part of your very own club app. 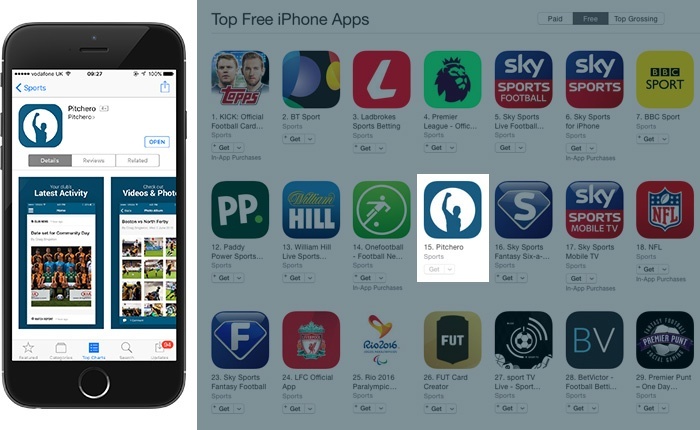 Ranking amongst the best Sports apps on the market, enrich the grassroots sporting experience of you and your team every single day by carrying the perfect pocket accompaniment for your club. 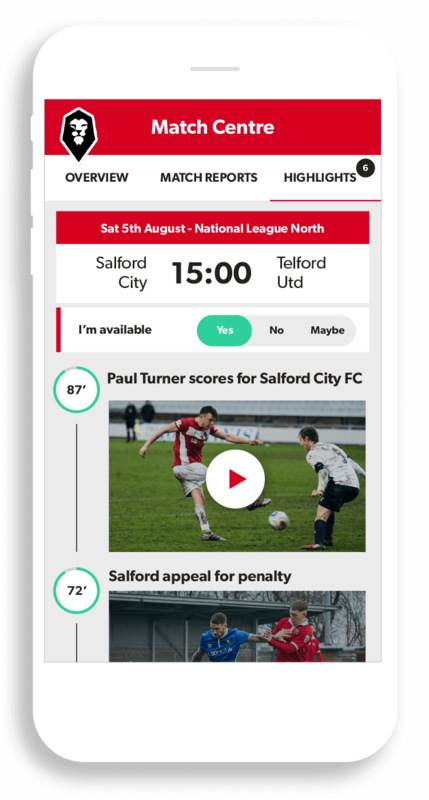 Don't miss a beat at your club this season by downloading the FREE Pitchero app today on Android and iOS.